Pioneers in the industry, we offer leather wallet cardholder belt combo, card holder, pu leather cheque book wallet, leather keychain, leather document holder and genuine leather card holder from India. We are manufacturer and exporter of genuine leather wallet, cardholder, belt, keychain combo set , this combo are are ideal for corporate gifting and promotions , we can emboss your logo on each product and packed in box. Capacity 6 different pockets inside to keep the six different cards separately. 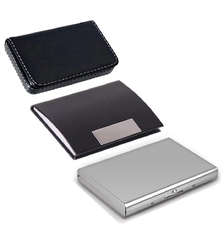 We are manufacturer and exporter of High Quality Combo of Soft Black Visiting card holder and Black Leather Visiting with Stainless Steel Plain ATM 6 Card Holderstylish Wallet That Grabs The Attention Of Many. Great Features, Use, And Benefits Of Stylish wallet. This Stylish Wallet Is Ultra-Slim, Has Smooth Finish On Both Sides. Store All Your Credit Cards, Id Cards, Club Cards, Cash, Photos And More. It Is Waterproof, Stain And Impact-Resistant. Also It Has Safety Lock To Protect Your Valuables. Compact, Strong And Light That Fits Perfectly Inside The Pocket And Virtually Indestructible. Also Can Be Treated As A Gift. We are manufacturer and exporter of cheque book holder made of finest quality Italian leatherette, this are multifuntional item can carry cheque book, passport, visiting cards, shopping cards, debit cards , credit cards ,id card and can emboss your company logo. 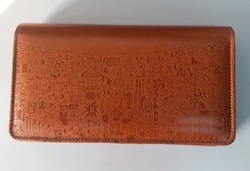 This is masterpiece with doodle art embossing . We are manufacturer and exporter of leather keychain and can emboss your required logo for promotion, we supply to major Money exchange companies in Gulf for thier promotions . 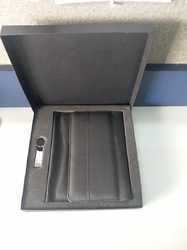 We are manufacturer and exporter of genuine leather document holder passport wallet made of sheep skin leathertop grain are ideal for corporate gifting and promotions , we can emboss your logo on each product and packed in box. Dimension with 24 cm Length 15 cm Width and 2.5 cm Depth, This Passport Holder contains 3 in build Credit card slots,1 Passport Pocket, 3 Currency Note Slots, 1 Boarding Pass Slot, 1 Pen Slot, 2 Secret Compartment and 1 Secure Zip Pocket and at the Front it contains 1 Slip Pocket carrying all your needs with extra comfort. 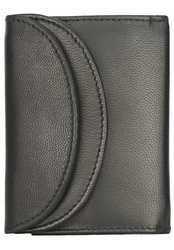 This Passport Holder is neatly designed and made with Soft genuine leather and twill fabric on the inside. You will feel the softness on your hand and it will never be a hard leather product. We are manufacturer and exporter of Genuine Leather Card Holder key chain combo set made of good quality Buffalo napa leather . 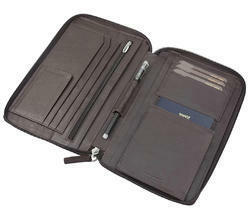 We are manufacturer and exporter of genuine leather wallet pen Exclusive Combo Set. This Combo Is An Ideal Option For Personal Gifting, Corporate Gifting, Employee Gifting, Exhibition Purpose, Diwali Gifting, Gifting For Rewards And Recognition Beautifully Packaged In Gift Box, These Gift Boxes Are The Perfect Gift For Any Occasion. 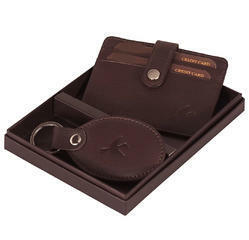 The Items Are Constructed Of Natural Full Grain Genuine Leather With Stylish Stitching and can Emboss your Brand Logo. 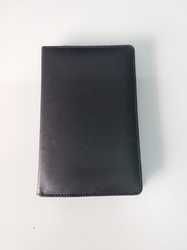 We are manufacturer and exporter of leather passport holder made of finest quality Pu leather and can emboss your logo on it suitable for promotion gifting . 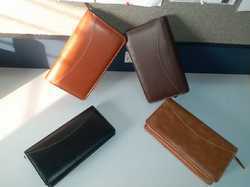 We are manufacturer and exporter of leather wallet combo set . 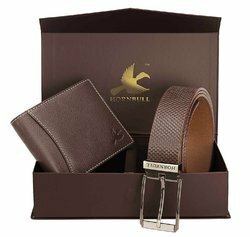 leather wallet belt set, leather wallet keychain set, ideal for corporate gifting packed in box and can customised your logo and can emboss or print on each item. 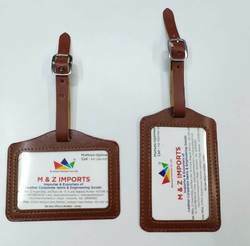 We are manufacturer and exporter of luggage tag, soft pvc luggage tag made of pu leather and pvc , can make as per your requirements with logo printing and embossing . Dimension 9.5 x 9.5 x 5.5 cm. Size 9.5 x 9.5 x 5.5 cm. 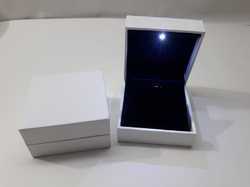 We are manufacturer and exporter of jewelry box made of PP with pu leather outer cover, inside bright led light , also can print your logo on it , can customize as per your size we have available size 9.5 x 9.5 x 5.5 cm. 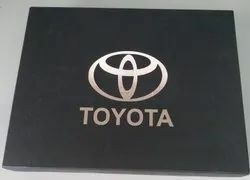 We are manufacturer and exporter of car document folder made of finest quality leather , can make combo set of folder with 16GB usb also can embossed your logo on folder and printing of logo on usb. 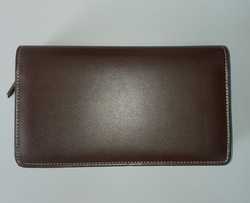 We are manufacturer and exporter of Car doument holder made of pu leather , we can customize as per your requirements . 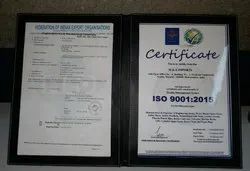 We are manufacturer and exporter of Certificate folder made of finest quality pu leather in A4 and legal size paper , can emboss your logo on it . 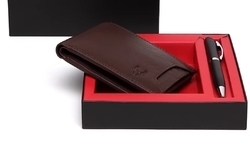 100% Genuine Leather Credit Card Holder SUPER SLEEK, AND STURDY You get Classic Premium Quality Credit Card Holders with Soft Leather that was Built to Last. You’ll love the feel, the looks, and the durability. So will everyone else who sees it! ULTRA SLIM AND PORTABLE Six sleeves firmly hold your Credit Cards, Debit Cards, Driver’s License, ID Cards, and other credit card size cards. Maximum Capacity: 15 cards,Small enough to keep hidden in your front pocket or purse – just half an inch thick! 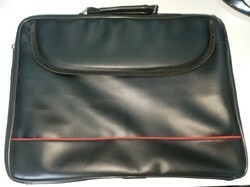 Perfect for Business, Travel, Shopping, and Daily Use. ULTIMATE CARD PROTECTION Enjoy peace of mind knowing your Cards and Identity are Safe and Secure. Accordion-style display fits cards securely like a glove, while the sturdy metal case ensures your cards. Keep Your Essential Cards Safe and Secure in Style! We are manufacturer and exporter of cheque book holder made of finest quality Italian leatherette, this are multifuntional item can carry cheque book, passport, visiting cards, shopping cards, debit cards , credit cards ,id card and can emboss your company logo . 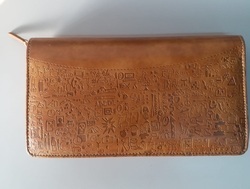 This card holder have designed with Smooth and Genuine Leather where you can get the nice touch feel of leather and all the materials used in wallets are reach to Compliance with environment.